So many people don’t realise that saying ‘we’ instead of ‘I’ can really affect the outcome of their interview. This occurs when you are giving examples that demonstrate your key strengths. For example, you are talking about a team project to demonstrate your initiative, but throughout the whole example you say, ‘we’. By doing this the interviewer has nothing to judge you on because they don’t know what part of the team initiative you delivered. It’s fine to give examples that include team work but you need to be specific about the role that you played within the team. For example,” I was part of a huge team project that needed to be completed within a very short amount of time. As most of the team was new and I was more experienced, I assumed more of a leadership position and guided the team by giving them more ideas and leading our discussions, whilst at the same time making sure everyone in the team was heard and had chances to express their ideas.” Boom! Never talk badly about your boss or other employees. Have you ever had a boss who you really didn’t get along well with? Most of us have, but it’s important not to say this in an interview because it could actually make the interviewer wary about you. They don’t know your boss and they don’t have time to find out. The other reason is because it can make you seem like a negative person and a highly positive person probably wouldn’t want to focus on the negative aspects of their past and may not consider it nice to talk negatively about another person but if you feel it is important to express that you experienced some difficulty with your boss, use softer words and rather than refer directly to their character, you can refer to their mood or behaviour. For example, sometimes my boss could be quite demanding or badly tempered but I believe this was because he/she was under a lot of stress. This shows empathy and understanding on your part. Then you could go on to say how you dealt with this to show other positive aspects of your character. In most interviews you will be asked to answer the most dreaded interview question: what is your biggest weakness? As a recruiter, I was surprised to once get feedback that my candidate was unsuccessful for the job because she didn’t give a weakness. Everyone has weaknesses and perhaps the biggest weakness you can have is not thinking you have one. Even if you’re really good at something you can always become better. There is always more to learn. 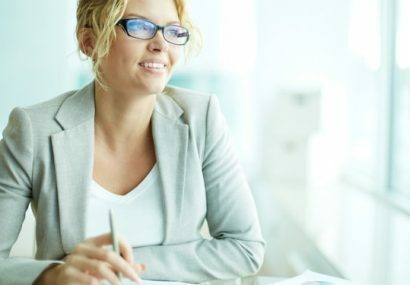 So if you’re struggling to think of a weakness because you are highly experienced in your job and you are very much on top of your game, perhaps think about other skills that you would like to develop for the future, like training for leadership roles or the parts of your job that you don’t like so much like administration or reporting. So now you know that you should give a weakness if you are asked for one but you also need to be cautious about the weakness that you give. The rule is not to give a weakness that is imperative to the job which is actually makes good sense. For example, if you are interviewing for a job as a receptionist you would not want to say that you have poor organisational skills because that would have a major effect on your ability to perform the job well. Or if you are an accountant, you can see saying that you have a bad attention to detail would be an issue. Focus on small things that will not have a large impact on your job. For example, I once went for a interview for a sales job and when I was asked what my weakness was I said that sometimes I could be a little bossy. I was actually completely unprepared for this question and wasn’t expecting it at all but luckily my response worked to my advantage. Even though being bossy could be seen as a more negative trait, it is also a sign of confidence which is really important in sales so if you are a little bossy at times then that would be an acceptable weakness within a sales environment. If your job requires some level of competitiveness as many sales jobs do, then you really need to make sure you strike the right balance of competitiveness or at least as to how you deliver your perspective of this in the interview. Most companies like staff who are motivated to do their best and like to give their staff incentives which trigger some healthy competition. Once I had a candidate who came across as a real sales gun and I was almost sure he would be successful in his interview. Unfortunately, he wasn’t, because he told the manager that he liked to “knock people off their podiums” and the manager thought this was too much. I also believe some other companies would feel the same way because people are often cautious of those who will do anything to win. It’s better to focus on competing against yourself rather than other people. So if you want to demonstrate your competitive edge, give examples that show your ability to exceed your targets more and more each time you do them. Lying or exaggerating about your skills in an interview isn’t worth it. People sometimes do this regarding their technical skills or experiences but this is risky business because if the interviewer probes you with further questions on the subject you could be caught out which would be quite embarrassing. If you don’t know something in an interviewer – be honest! Say you haven’t dealt with it before but could add that you would be very eager to learn and that you are a fast learner. Then give an example of a skill that you learnt very quickly in a past job. The other thing to remember is that they have already read your resume and probably have a generally good idea about your technical skillset. So if you don’t have one they are asking you about it probably won’t be a deal breaker if you don’t have it. If it was so important to them then they probably wouldn’t be interviewing you at all. Every interview follows a process and the interviewer will have an idea of their process in mind before they meet you. They will have an idea of the kinds of questions they will ask you and how the structure of the interview should go. Sometimes candidates make a huge mistake by taking the interview into their own hands, and they often do this without even realising it. Sometimes whilst they are giving a response to a question they start going off into another topic which is a question the interviewer was going to ask later, or sometimes candidates try to show that they a great personality so they start initiating conversation with the interviewer. This is a big no no. Only respond to questions that the interviewer asks you and make sure you stay on topic and keep your responses concise and to the point. At the end of the interview, you may be asked if you have any questions so that will be your opportunity. Are you really hungry to succeed in your career? Want to work your way to the top as quickly as possible? Then this may seem surprising but you need to be careful about how much of this you project in an interview. No doubt, career motivation is highly important for success in the future but you also need to make sure that you show enough interest in the job that you are applying for, rather than just expressing it as a stepping stone to get you to where you really want to be. This really depends on the company but sometimes the ideal candidate they are looking for will actually want to remain in the position for at least 2 years because of course this means that they won’t have to recruit someone again so soon. Don’t get me wrong, you can still and should definitely express your interest in the future career opportunities the company may have to offer but equally show your interest in the job you are interviewing for. This point is pretty common sense but it’s amazing how many people like to bring up their cases of depression, herpes, broken relationships and more. You name it, I’ve heard it! 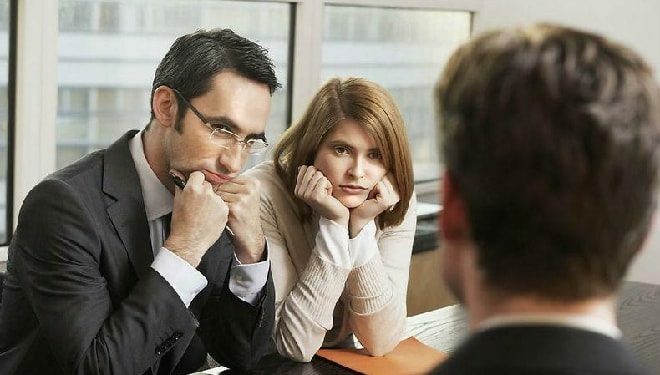 Interviews should be strictly professional and of course you should show your personality but discussing personal issues is very different. If you have been fired from a job and this was due to personal reasons then this is a situation where you can’t just say ‘personal reasons’ because the interviewer will be curious as to what you did and they most likely won’t want to hire someone they are unsure about. In this case, if there was a personal reason you will need to explain it but without giving too much detail. If you have been fired from a past job you may find it more difficult to find another job but if you have a good reason for this and you can express yourself well then you may be able to overcome this. Get in touch with Daniela for assistance with these situations. There are essentially two ways that you can respond to situations in life; positively or negatively and this is a key thing that the interviewer will be looking for in you. Businesses want positive people, who can thrive under pressure and not give up when times get tough. Throughout the interview they will be looking to see how you respond to any given situation, especially challenging or unexpected situations because this is where your true character comes through. Even if the result or outcome was not necessarily positive, there is always something you can learn, so a good way to practice this is to think of some of the worst situations you experienced at work and think about what you did to deal with those situations and what you learnt from them.